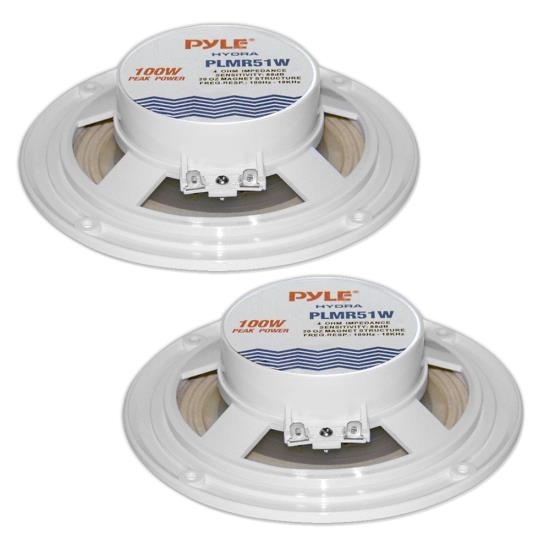 Pyle's Hydra series speakers are waterproof and designed for use in your boat, on the dock, by the pool, or simply mounted outside. They're designed with rust-proof mesh covers for quality protection. 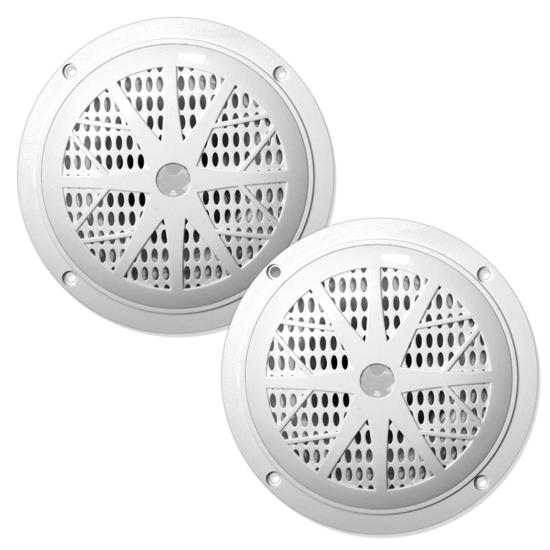 The PLMR51B is a white 5.25' dual-cone, full-range speaker suitable for marine use. They're rated at 100 watts for big power. 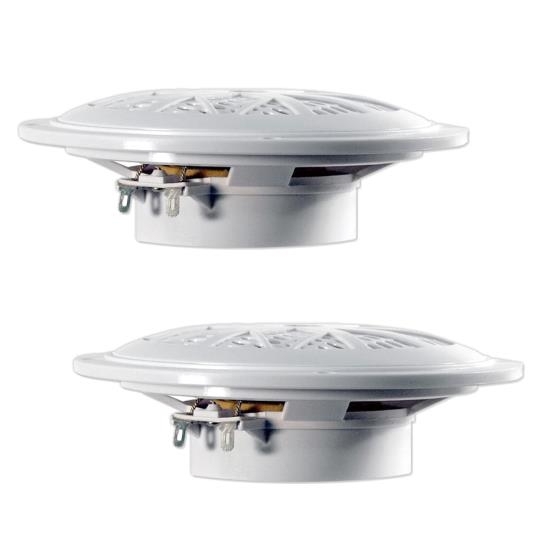 The polypropylene cone accurately reproduces sound, and the molded ABS plastic basket keeps your sound distortion-free. Package includes mounting hardware and wires.